Team Action from Merkur has a logo that could almost be that of a children’s animated television show. And, judging by the title, it could be one of those shows that teaches kids about right and wrong. Helping others. You know, sort of in the way that Captain Planet taught kids about preserving the environment as much as possible. Team Action is all about helping your friends and allies. And we have to admit, that we were instantly hooked as soon as we saw the title of the slot. Even more so when we began to play it. Merkur has made sure to include some very nice graphics in the game, ensuring that you have a thrilling experience from start to finish. Of course, you’ll also be able to see some special features come into play at times. And these also add to the excitement and overall experience you’ll have while spinning the reels. Overall, it’s a very welcoming game to see from a first impression stand point. Let’s find out more about what’s inside. The design of this slot game will provide you with a layout of five reels and three rows in total. This works as a very standard game layout, so it should be quite familiar to you on the whole. Alongside this setup, you’ll be able to place wagers on 10 different win lines. These lines can go through customisation, so you have the ability to change them with the relevant buttons. They can be found in the bottom right hand corner of the screen. There, you’re also able to adjust the value of your wager as well. The game provides you with amounts between $0.01 and $1 per active pay line. Therefore, if you have all of the lines in action, you’ll be placing maximum overall bets of $10 per spin. An ‘Auto Start’ function is also available to use in the slot, which can be found in the bottom left corner. As far as graphics are concerned, Merkur has chosen to add some quite impressive options to this slot. The background presents an almost futuristic world, with tall buildings and spaceship like structures visible. And then, upon the reels of Team Action is where you will find its symbols. They start off with the frequently seen playing card additions. Therefore, you’ll get to see the pink 10, the red K, the yellow Q, the orange and the purple A. Collectively, these are the game’s lowest paying icons. After this, you will see five different icons of the team mates who are working together. Two women and three men. Each of them has their own look and, obviously, their own speciality field. Five of any of these appearing on a winning bet line will reward you with up to $300 as a pay out. While you’re joining up with your comrades in this slot, you’ll get to see some intriguing special features come into play. They ensure that Team Action provides a thoroughly entertaining game on the whole. The first of the inclusive features comes in the shape of the Team Action group’s logo. This works as both a wild symbol and a scatter at the same time. As a wild, it will substitute for all other icons upon the reels, helping to form winning combinations. And if it does participate in a winning combination, it will double the pay out that you receive as well. Five of the wild icons in view, either on a pay line or in scattered locations, will reward you with up to $100. And speaking of its scatter status, the icon can also trigger the freespins round of the game. You need to bring three or more of them into view in order to do so. 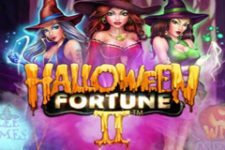 Three scatter wilds will reward you with eight freespins, while four of them will provide you with 15 freespins in total. And if you manage to bring five wild scatter icons into view, you’ll receive 25 freespins. During the freespins round, all of the team members will work as substitutes for each other. Therefore, you can form wins by bringing mixtures of these icons into view on a win line. Finally, the game is also the host of a gamble round. This automatically activates whenever you create a winning combination on the reels. It gives you the option of selecting between two different gamble games, with the first one being the Card Gamble. This provides you with a face down playing card and you need to guess its colour before turning it over. Red or black. Getting this colour correct will multiply your winnings from the triggering round by two. Alternatively, you can choose to play the Ladder Gamble game. The steps of the ladder on screen will show up with different values on them. You need to ascend the ladder, with the higher you go, the more your winnings increase by. We can definitely see the interesting appeal behind playing this Merkur slot. And if you enjoy its inbuilt features like we do, there are several other slots with similarities to it. For example, you could try spinning the reels of Party Games Lotto from Novomatic. This one will provide you with 10 win lines across a five reel, three row interface, just like Team Action. However, while there is a freespins round in the game too, there are 16 of these available to you. Wild icons will also show up on all of the game’s reels, and it works as a scatter symbol at the same time. Another game we can suggest to you is Luck Ness from Gaming1. 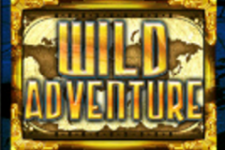 Again, wild symbols will show up on all of the slot’s reels, while extra wilds appear during freespins at random. The game contains 10 win lines and 10 freespins altogether. And finally, we think you’ll also enjoy playing Queen Cleopatra by Octavian. 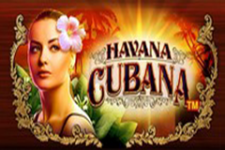 This one provides a five reel, three row interface, and again comes with 10 freespins and 10 win lines. The freespins round is its only triggering bonus feature, and wilds show up in all locations. As we said, the appeal of this game is very easy to see. There’s a very animated television show feel to it, and the inclusive special features are exceptionally entertaining. Freespins are always welcome in online slots for us, and Merkur has definitely crafted a good one in Team Action.